Normally I write for enterprise organizations, however once in a while I am compelled to write for my hometown MadisonPatch on-line news source to provide insight and ideas to our local small businesses. This is one of those times. Usually this time of year brings a deluge of articles on the “New Trends” for the New Year. That’s nice, but I believe what’s most important is what information do you need to know when panning how to grow your business. Part of the planning process and one of the ways businesses continue to survive and thrive is by looking out at the horizon of coming opportunities. As owners, creators, and entrepreneurs of not huge businesses, the more we can understand new trends and technology the better prepared we are to make decision to ensure our future success. Being prepared and having a plan reduces the stress we feel in running a business and/or being responsible for growing the economy and supporting others. If this is you, here are three things you should consider and think about as you plan for a prosperous 2014. Customers, neighbors, friends, and even competitors all have great ideas. Most times people just want to help and believe you might benefit from their perspective. Listen to them. Sometimes they are right. Sometimes they know what they are talking about or they represent majority thinking. Let me give you an example. On Fridays you can see the Sugar Bakery Cupcake Truck parked next to the Madison, Connecticut town green. 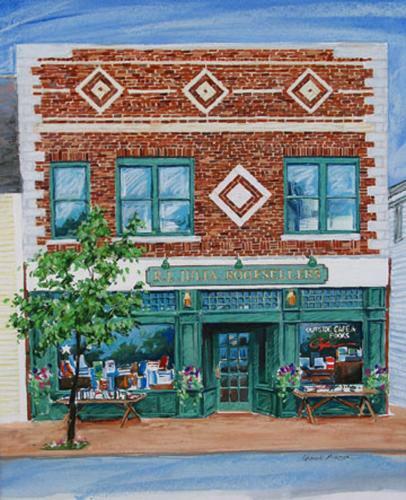 In addition to selling cupcakes one, two, four, or a dozen at a time, the bakery in East Haven also fills orders on a much grander scale. Some of their customers not only want the cupcakes but also want a way to display them as a centerpiece – creating a WOW factor to their party or event. In the past, Sugar Bakery would also rent a tiered cupcake tower to help their customers achieve the desired effect. However, customers complained because they had to put down a deposit on the display, make two or more trips to the car, drive home, make two or more trips into the house, spend the time arranging the cupcakes on the display, clean off the tower after the event, and then drive back to the bakery to return the tower and collect their deposit. Carol and Debra, Sugar Bakery co-owners listened to their customers describe how the bakery was making it difficult to do business with them. So Carol and Debra took the time to think about how to make buying a larger quantity of cupcakes easier. 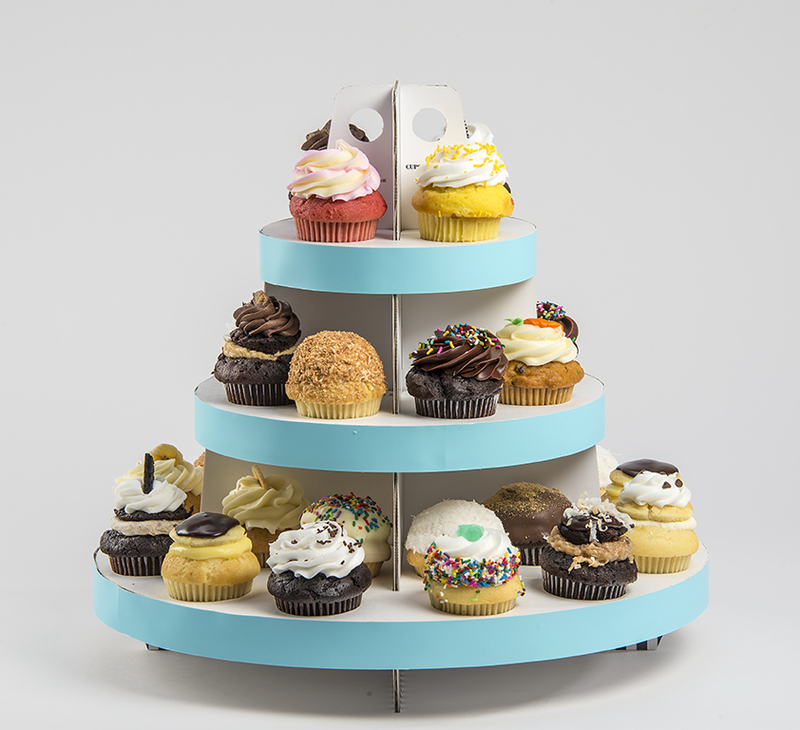 Soon they had created, designed, patented, and manufactured a portable, disposable, tiered tower cupcake display. They made it easy for their customers to buy 32 cupcakes in a package that can be carried out of the shop, driven home, opened with much fanfare, and have the eye-popping centerpiece dropped right onto the table. Because they listen to their customers, they now have expanded the business and created a whole new market for their cupcakes. Listen to what is being said, and if it makes sense – do something. The International Telecoms Union reports there are currently 6.8 billion mobile subscriptions and 7.1 billion people inhabit the planet. They also predict that subscriptions will pass seven billion early in 2014 meaning there will be more mobile subscriptions than people on the earth. A Pew Research study found that 74 percent of people with a smartphone find directions and other information about a company prior to making a purchase. A study by the Google Shopper Marketing Agency Council and M/A/R/C Research found 84% of smartphone shoppers use their phones while in a physical store. Your customers with smartphones are using their devices to pre-shop your store, find your location, collect other customer experiences, and one of the biggest shopping activities – they are comparing prices while in your store. This means if you have not already given serious consideration to a mobile device as a means by which consumers are shopping, the time has come. So, what should you do? Take a quick look at your website’s traffic to determine the percentage of visitors to your website is getting there via their smartphones. If you use Google Analytics, select “Audience” on the left side, then “Mobile” to see what proportion of traffic is from mobile devices. You can even drill down to see which devices are sending the traffic. If it is significant or growing there is more work to do. Next, ensure your website is mobile friendly or create a site for mobile device access. The hottest of trends is to create a website with responsive web design. This mean your site design will look as good on a mobile device as it does on a desktop or laptop. Retailers should also consider a Location-Based marketing effort. If your business has a brick and mortar location, there are ways you can use mobile apps like Foursquare and Levelup to drive traffic into the store or leverage a customer who is currently in the store to market to other potential customers. American Express Open Forum has 5 great examples to get you creative marketing thoughts rolling. The Chief Marketing Officer Council recently published an on-line article “Location-based marketing: The key to mobile customer engagement?” highlighting how Wi-Fi specific landing pages can be part of your location-based marketing efforts. In part, the article states if you encourage your shoppers to log on to a free in-store Wi-Fi network, you can use geo-fencing technology from companies such as Digby to make special offers while they are in the store. Retailers suffering from shopper attrition via “The Amazon Effect” where shoppers look at a product and then buy it on Amazon (independent book stores like JR Julia quickly come to mind) can start to reverse that trend by adding value to the experience in the store as well as being able to match prices. By having shoppers on their own network, retailers can also determine when consumers are comparing prices online, and with whom, giving them better intelligence on their competition and the ability to better match process. If you haven’t been doing this before, it’s time to really harness your knowledge and expertise into content you can leverage in your marketing efforts. Through content, shoppers and customers will develop a more personal relationship with you and your store. In this coming year shoppers are expecting more from retailers as information is more widely available and customers are getting smarter and smarter. Create content that adds value to their shopping experience and their lives. Help them to become better, more intelligent shoppers and in turn they will be your better customers. Repurpose everything you create. For example, if you write a blog post on a specific topic, determine how you can use that topic to create additional lead generation opportunities, such as developing a whitepaper, sharing a slide deck on SlideShare, adding a downloadable element to an email blast, or simply linking to the content from email signatures. The idea is to create the content one time and then see how many more times you can use it. The other medium I’ll throw into the discussion is video. The use of video is also important because it ties in with your new found awareness of mobile marketing – there is a continued serge in video friendly mobile devices. In addition, video is becoming easier to create, produce, edit, and publish because of the increase in quick, low-budget tools available. These videos can be hosted on your website, shared in e-mail newsletters, posted on your blog and used as part of your in-store experience. Video is also the most engaging medium because it involves more of our senses that simply reading or listening. Three words representing three opportunities to increase business. Planning, planning, and planning. Three words to help reduce stress and create a prosperous 2014. I wish you all the best.